Participants or Guardians of participants in National Elite Hockey programs of any type must read and acknowledge agreement of the following terms and conditions. You will be restricted at checkout without acknowledging your agreement. The risk of injury from the activities involved in playing Ice Hockey is significant, including the potential for permanent paralysis and death. While particular rules, equipment and personal discipline may reduce this risk; the risk of serious injury does exist, and, as a parent or for myself and on behalf of my heirs, assigns, personal representatives and next of kin, HEREBY RELEASE, INDEMNIFY, AND HOLD HARMLESS National Elite Hockey LLC/Clifford John Loya III their officers, officials, agents and/or employees, other participants, sponsoring agencies, sponsors and advertisers; from any claims arising out of my or my child’s participation in these activities. I hereby grant National Elite Hockey Development, LLC the right to use photographs, video images and/or other media of my child for publicity, advertising and/or other commercial purposes. I understand that this event and future National Elite Hockey Development, LLC, events may be photographed, videotaped or otherwise recorded. I agree to let National Elite Hockey Development, LLC, use my name, child’s name, photo likeness of myself and my child and demographic information free of charge in any manner and for any purpose in any media now known or here after created. National Elite Hockey Development, LLC, will not sell any information or likeness to a third party. - All cancellation requests must be received in writing to nelitehockey@gmail.com. Failure to attend a program without notifying National Elite Hockey Development, LLC, will result in no credit to a future program. Please allow 30 days for requests to be reviewed. Sickness and injury are the only valid reasons for cancellation. A credit for 50% of the unused portion will be issued. This includes if a player gets sick or injured during a program. A doctor’s note is required to receive a credit. Credits will not be issued for any other reason. Credits will expire one year from the date they were issued. - National Elite Hockey Development, LLC cannot provide refunds for cancellations due to unforeseen acts of God, including facility damage/closing, complications or weather related rink/facility cancellations. These are highly unlikely to occur, but in the event it does, we will issue credit vouchers for the prorated amount of the remainder of the effected program. - If National Elite Hockey Development, LLC cancels a program for any other reason not specified above, we will offer a refund. - National Elite Hockey Development, LLC reserves the right to cancel or change the program, dates, times and locations. 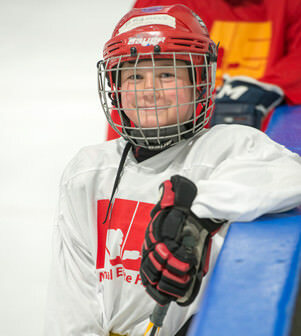 - National Elite Hockey Development, LLC has zero tolerance policy with respect to uncontrollable behavior, bullying, hazing, alcohol, tobacco, drugs and controlled substances, weapons of any kind, or any kind of activity we deem to be illegal or not in conformance with the National Elite Hockey Development, LLC standard. If a participant is expelled for any of the reasons above, no refund or credit will be offered.